Funny Creatures Hidden Objects is a another online hidden object game by online-hidden-bject-games. This is a game about magical hidden world of funny little creatures. 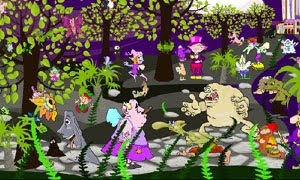 Follow the elves, dwarves and other creatures in their mishaps. Try not to make mistakes; with every wrong click, you will lose 5 seconds. Good luck and have fun.